A heartbreaking game four defeat, and he wasn’t even in the dugout to help his team when it mattered most. This was not the way he envisioned his last game as a manager of the Red Sox. 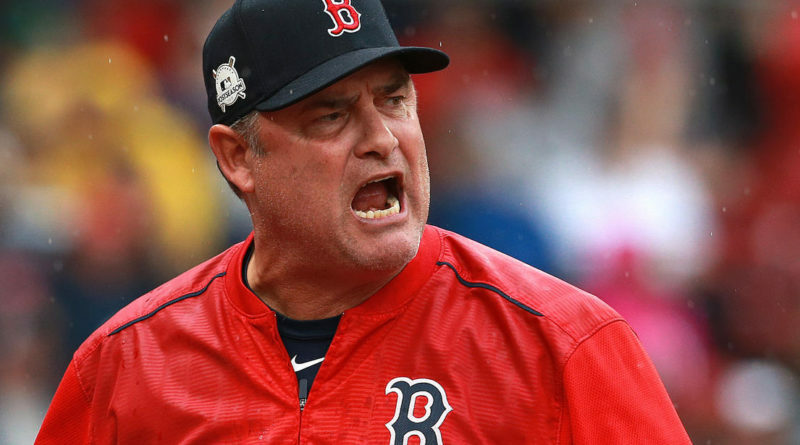 Boston announced Wednesday that John Farrell would not be returning for the final year of his contract after five years with the organization which included a World Series win and two division titles. Sophomore Max Leblanc says that the firing was a great move by the organization and will make them a better team. “He is a very bad manager and he did not know how to put players in the right positions,” said Leblanc. Throughout the years he did make some interesting calls, including converting Hanley Ramirez into a first baseman, playing Christian Vasquez at third base, and using Mitch Moreland as a pitcher. Most recently, he moved his $30 million pitcher David Price into the bullpen as a long reliever. None of these decisions came back to hurt the Red Sox, in fact Price helped the season stay alive with four shutout innings in relief during game three of the ALDS this year. Sophomore Jesse Cook says that he is happy Farrell fired because he was unoriginal, and most of the managers who win now create their own schemes. “Joe Maddon basically designed the shift on lefties and he won the World Series last year over Terry Francona’s Indians, and he also comes up with a lot of stuff on his own,” said Cook. Sophomore Sidd Bharadwaj says he disagrees with the firing. “He got ejected when he was trying to stand up for his star player Dustin Pedroia. He stood up for the team and should not be fired for that,” said Bharadwaj. Bharadwaj also says that his success as a manager so far should not be forgotten. “His first year he led the Red Sox to the World Series and I think that he would have been able to do it again,” said Bharadwaj. In 2013, Farrell coached a good but not special roster to win the World Series, but he had the benefit of the whole city of boston rallying over the marathon bombings. Now, after back to back ALDS letdowns, the Red Sox are moving on and are hoping to find a new coach as soon as possible. A few names have been tossed around, but no decision has been made yet. For Leblanc, he is already excited about who they will bring in next year. “Pretty much anyone is better than Farell,” said Leblanc.